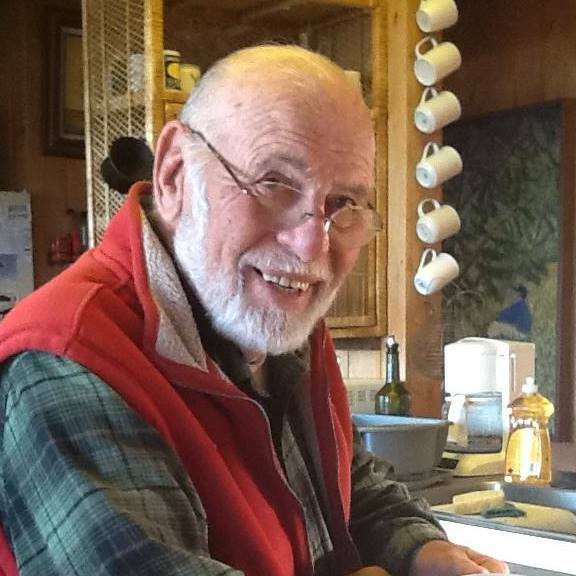 On 01/24/2019, the San Luis Obispo County Sheriff’s Office responded to an address in the 1400 block of Strand Way in Oceano to check the welfare of a 90-year-old male, Lawrence Bross. When Deputies arrived, they found Bross deceased in his home. Further investigation revealed that Bross’ death was the result of homicide. Sheriff’s Detectives are requesting assistance from the public to gather as much information as possible to aid the investigation. 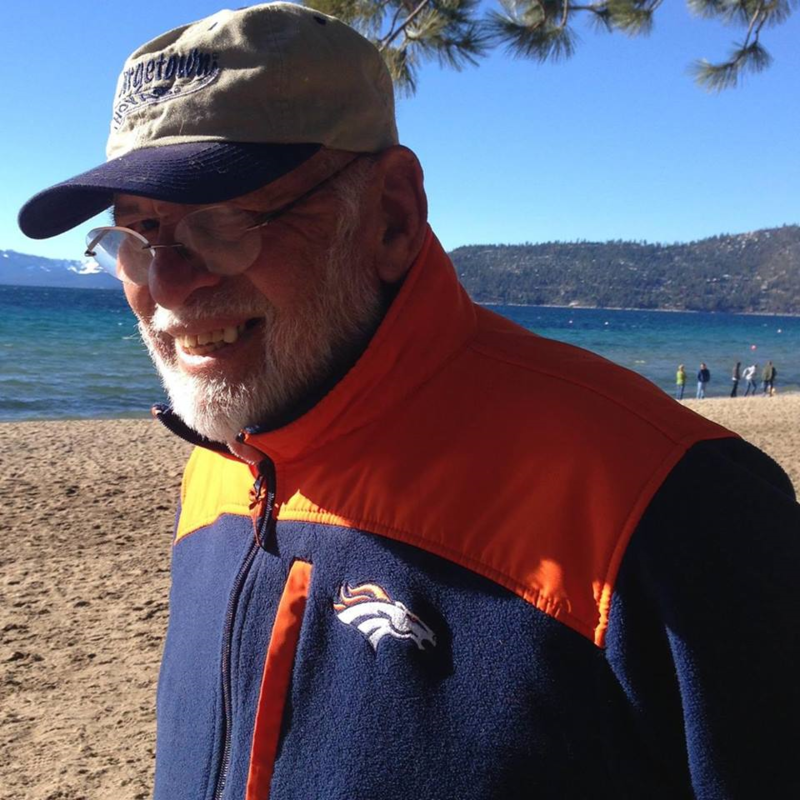 Anyone having contact with Bross in the weeks leading up to his death are urged to contact the San Luis Obispo County Sheriff’s Detective Division at (805) 781-4500. Assistance is also needed in locating a possible witness in this investigation. Sheriff’s Detectives are trying to locate a person described as a White, male adult in his 30’s to 40’s, thin build, approximately 6’1” tall, with bushy dark brown hair that is somewhat long. He was wearing a jacket, possibly letterman-style that contained the color green on it. He is associated with an older model (more than 15 years old) 4-door sedan, possibly a Ford. The car was dented and gray or dull silver in color. The car was possibly seen on Pier Avenue in Oceano. Bross was seen with a subject, thought to go by the name of Jimmy, at the La Tapita Market in Oceano during lunch time on Tuesday, 01/22/2019. It is not known if this subject is the same subject as described above. If you have any information regarding this crime, or the possible witness, you are urged to contact the San Luis Obispo County Sheriff’s Detective Division at (805) 781-4500 or remain anonymous by calling Crime Stoppers at (805) 549-STOP (549-7867). You can also submit your tip to Crime Stoppers by downloading the FREE MOBILE APP at P3TIPS.COM or submit your tip through this website. Crime Stoppers is offering a reward of up to $10,000 for information which leads to the arrest and conviction of the person(s) responsible for this crime. On Thursday, April 13, 2017, at approximately 0910 hours, officers from the Arroyo Grande Police Department responded to a report of a shooting in the 1400 block of El Camino Real. Officers arrived on scene and met with the victim, who received a single gunshot wound to his front torso. The victim was transported to the Emergency Room and was treated for his injuries. The suspects fled the scene prior to law enforcement arrival. None of the suspects have been identified or apprehended at this time. CRIME STOPPERS is offering a reward of up to $1000.00 for information leading to the arrest and conviction of the individuals who committed this crime. Anyone with information about the suspects involved, is urged to call the Arroyo Grande Police Department at (805) 473-5121, or remain anonymous by calling Crime Stoppers at (805) 549-STOP (549-7867). You can also submit your tip through this website. 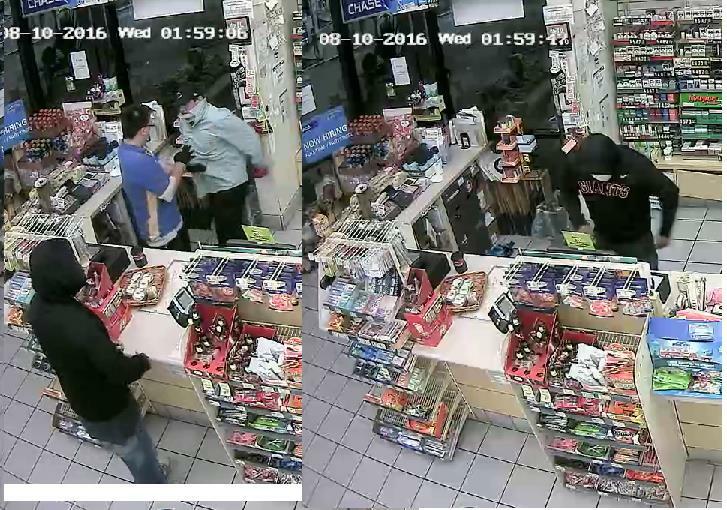 On Wednesday, August 10th 2016, officers from the Arroyo Grande Police Department responded to a robbery in progress at the local am/pm. The two male suspects entered the store and confronted the store clerk. The suspects physically attacked the clerk demanding cash from the safe. The suspects were wearing baggy clothing and their faces were concealed. After chasing the victim, both suspects fled with the victim’s property and were last seen running toward Cornwall Avenue. Officers searched the surrounding neighborhood but did not locate the suspects. CRIME STOPPERS is offering a reward of up to $2500.00 for information leading to the arrest and conviction of the individuals who committed this crime. At approximately 11:24 PM on April 6, 2016, CAL FIRE/San Luis Obispo County firefighters were dispatched to a residential structure fire on S. Oakglen Avenue in the community of Nipomo. Upon arrival, CAL FIRE personnel encountered a two story structure fully involved. The fire was quickly contained; the cost of the damage is unknown. The cause of the fire is suspicious in nature. CRIME STOPPERS is offering a reward of up to $1000.00 for information leading to the arrest and conviction of the person or persons responsible for this crime. Anyone with information about this fire, or the suspect(s) involved, is urged to call CAL FIRE/San Luis Obispo County Fire Department, Fire Captain Kevin McLean at (805) 593-3421, or remain anonymous by calling Crime Stoppers at (805) 549-STOP (549-7867). You can also submit your tip through this website. Over the past year, the San Luis Obispo Police and Fire Departments have responded to over 40 fires which appeared to have been intentionally set. These fires have occurred throughout the city near our creeks, railroad tracks, open spaces, residential areas, the downtown corridor, and even near our Police and California Highway Patrol headquarters. Both Police and Fire department personnel have continued to investigate the cause of these suspicious fires, collect evidence, and try to identify the person(s) responsible for starting them. The nature and location of these fires have posed a significant threat to the public’s safety as well as potential damage to city and private property. Fortunately the quick response from the City’s Fire and Police personnel has thwarted any extensive damage and injury to the public to this point in time. Public Safety personnel have increased their efforts to identify the person(s) committing these dangerous crimes. We are asking for assistance from anyone who may have information regarding the identity of the criminal offender(s) in these arsons. The extreme drought conditions we have been experiencing have increased the level of danger to our citizens and our community. The costs in responding to and investigating these arson fires are also quite significant. CRIME STOPPERS is offering a reward of up to $500.00 for information leading to the arrest and conviction of the person or persons responsible for these crimes. Anyone with information about these fires, or the suspect(s) involved, is urged to call the San Luis Obispo Police Department at (805) 781-7312, or remain anonymous by calling Crime Stoppers at (805) 549-STOP (549-7867). You can also submit your tip through this website. #1) Hispanic male adult. 5’-05” to 5’-10” tall, short black hair, and last seen wearing a dark blue shirt and jeans. #2) Hispanic male adult. 5’-10” tall, short black hair, and last seen wearing a white shirt and jeans. If anyone has information on this crime or the suspect(s), they are urged to contact the Grover Beach Police Department at (805) 473-4511, or remain anonymous by calling Crime Stoppers at (805) 549-STOP (549-7867). You can also submit your tip through this website. During the mid-morning hours of Saturday, October 26, 2013 a male suspect entered the Yogurt Creations Store located at 1540 E. Grand Ave in the City of Arroyo Grande and committed a robbery prior to normal business operation hours. The suspect took an undisclosed amount of cash from the business after physically assaulting and injuring the store’s female employee and then fled in a dark colored sedan driven by another subject. The suspect was described as being a white male in his mid-twenties to mid-thirties, wearing a dark hooded sweatshirt, blue or black jeans, and sunglasses. The Arroyo Grande Police Department is urging the public to come forward if they have any information related to this crime by calling The Arroyo Grande Police Department at (805) 473-5100, or remain anonymous by calling Crime Stoppers at 549-STOP (549-7867). You can also submit your tip through this website. All three suspects have “No Bail” warrants issued for their arrest. These suspects are considered armed and dangerous. Anyone with information as to the whereabouts of these suspects should contact their local law enforcement agency immediately. This investigation is continuing and the PRPD will not be providing further details to the press about the case at this time. San Luis Obispo County Crime Stoppers is offering a reward of up to $1000 for information leading to the arrests and convictions of these suspects. Persons wishing to remain anonymous are encouraged to call Crime Stoppers` 24-hour hotline at (805) 549-STOP or by submitting a tip through this web site. 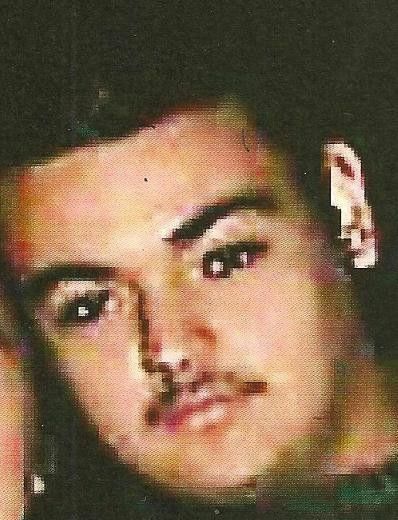 The San Luis Obispo County Sheriff’s Office is asking for the public’s assistance with information leading to the arrest and conviction of Suspect(s) involved with the June 21, 2013, murder of Joseph Padilla. 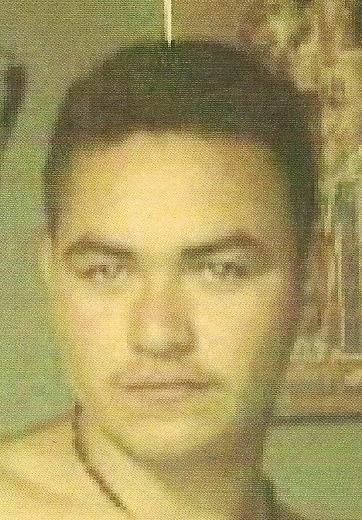 On June 21, 2013 Joseph Padilla was located in front of a residence in the 1300 block of 19th street in Oceano CA. Padilla suffered from a knife attack and subsequently died from his injuries. The investigation is ongoing. 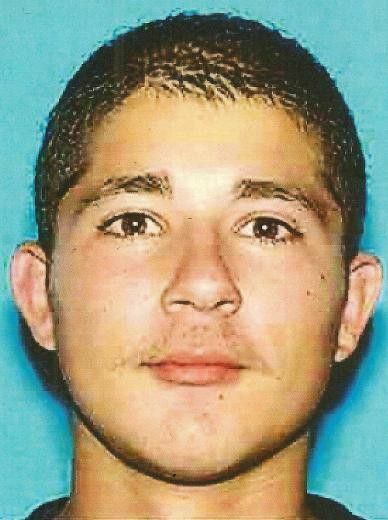 San Luis Obispo County Crime Stoppers is offering a reward of up to $1,000.00 for information leading to the arrest and conviction of suspects involved in the murder of Joseph Padilla. Persons wishing to remain anonymous are encouraged to call Crime Stoppers’ 24- hour hotline at (805) 549-STOP or by submitting a tip through this web site. On 1/20/12 at 12:30 a.m., the San Luis Obispo Police Department investigated a stabbing that occurred near the intersection of Monterey and Broad in downtown SLO. A group of downtown patrons, including two male victims in their 20’s, were walking back to their vehicle when they were confronted by two or more male suspects. During the confrontation both victims were stabbed causing life threatening injuries. The San Luis Obispo Police Department and Crime Stoppers encourage anyone with information to contact Crime Stoppers at 549 STOP (549-7867). You can also submit your tip through this website. Members of the community are encouraged to assist local law enforcement agencies in the fight against crime by overcoming the two key elements that inhibit community involvement: fear and apathy. Callers can remain anonymous and are eligible to receive a cash reward if the information given leads to an arrest and conviction of a felony offender. Crime Stoppers relies on volunteer Directors and tax deductible contributions from the public in order to operate the administration of the program.